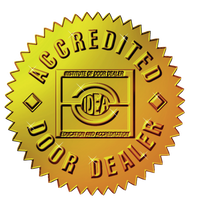 First Class Garage Door is a family owned and operated business that has served Chicago’s high traffic commercial garage door and gate needs, and residential door needs, for over 12 years. We have distinguished ourselves as the leading experts in the commercial garage door and gate industry. Our veteran technicians are always ready to get the job done with the highest quality of work. ​Our service area covers all of Chicagoland and the western suburbs, with a strong presence in low, mid and high rise applications in Chicago. If you think we're outside of your service area just give us a call and we'll be happy to try and work with you. We offer expert commercial garage door and gate system installation and service for any application. We can handle any job including high cycle and high traffic access, or applications where custom designed and fabricated solutions are required. All of our products are tested in house to guarantee fewer breakdowns, less down time, and less inconvenience. We know how important security is, so we offer 24Hr emergency service seven days a week for any kind of commercial garage door, gate, operator or access control issue. ​First Class Garage Door has built up an incredible reputation, so it’s no wonder why many clients come from referrals. With our professional service, you can expect the job done right the first time around with punctual and knowledgeable technicians. It truly is first class service.